http://cinziamazzamakeup.com/?x=comprare-viagra-generico-25-mg-a-Bologna Nevada’s Senate Judiciary Committee http://cinziamazzamakeup.com/?x=vendita-viagra-online-italia unanimously approved a bill on Thursday that adds attacks on transgender persons to a list of hate crimes and stiffening the penalty for offenders. 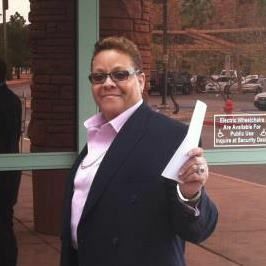 enter SB139 was sponsored by Sen. Patricia Spearman (D-Las Vegas). Spearman is a North Las Vegas pastor and is the only openly gay member of the legislature. She spent 29 years in the US Army, rising to the rank of lieutenant colonel. She told the committee of being the victim of a hate crime when she was 21 and was attacked by a truckload of young white men accosted her, a young black woman out jogging, tossing racial slurs and glass at her. free prescription for brand levitra [T]he only thing that saved my life was my ability to belly crawl in a ditch at least seven blocks to get to home. levitra generico 20 mg prezzo © 2019 DocuDharma. miglior sito per acquistare viagra generico 25 mg spedizione veloce a Parma Made with by Graphene Themes.